This gusli is based on archaelogical finds of medieval instruments from Novgorod, Russia. 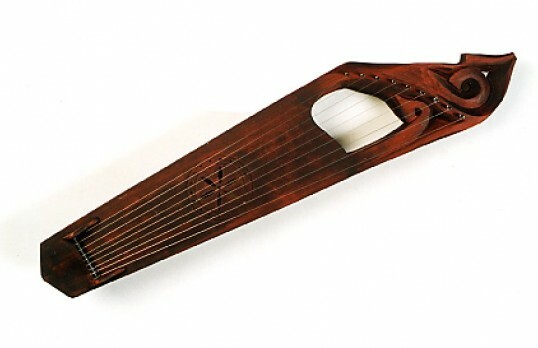 Given the Nordic design of some of these instruments, it doesn`t seem far-fetched to associate the gusli with the harp or lyre mentioned in the sagas and depicted in carvings from Norway and Sweden. It`s possible to make instuments of different tunings and choose among metal or gut strings.